Thanks to all who entered to win a copy of Connor Boyack's latest book, Latter-day Responsibility. Connor is a web developer, political economist, social media consultant and author of the popular prequel/sequel to this book, Latter-day Liberty . And the winner is: Shaylee Ann (link to comment). Please email us your address so we can get this sent out to you. Didn't win? 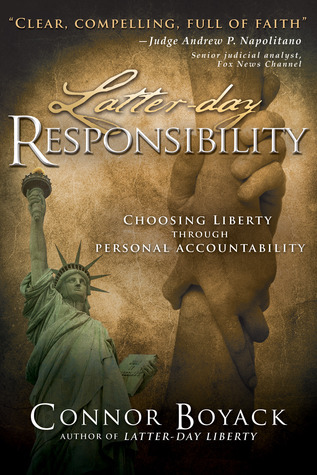 Buy Latter-day Responsibility for yourself or as a gift. Also check out our interview with Connor if you missed it.